We provide a wearable psychological stress sensing and evaluation technology. The system is composed of: Human stress sensory pads; Predictive geometric and semi-instantaneous spectral human stress indexing including caregivers friendly output; AI/cloud-based diagnosis, feedback and management protocols focusing on the specific applications pertaining to emotional workers/wellbeing. We use a non-invasive ecological platform applicable to both environments. 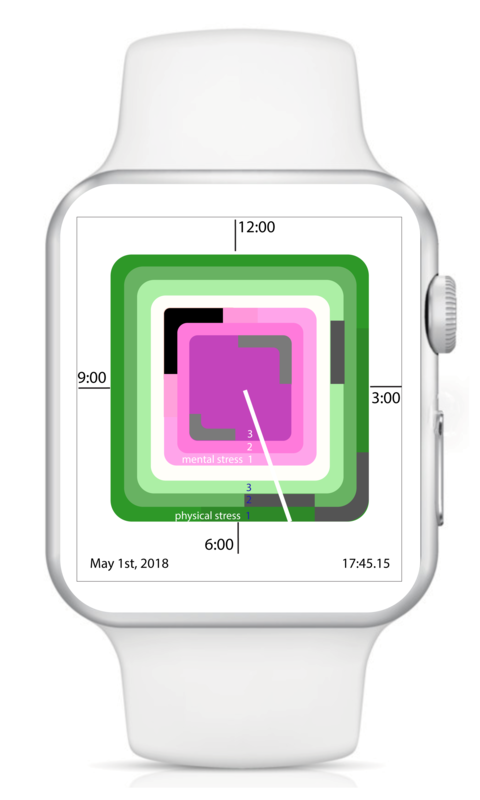 The technology provides graphical reprenstation of both mental and physical stress and its history using near field communication with body-attached bio-sensors. Real, symbolic, or imagined stimuli perceived as threatening by a person represent a stressor. In the human species, proximity of other nonspecific can be either soothing or a major stressor depending on the context and the individuals involved. Many factors constitute a major stressor for the elderly, especially those with cognitive impairment, when they are admitted to or stay in a hospital or nursing home. Thus, adequate measures against stressors are paramount as a first step to reduce the negative influences of psychological stress to health. Continuous psychological stress monitoring in daily life is important. There are two conventional methods to measure psychological stress: self-report and body fluid analysis. 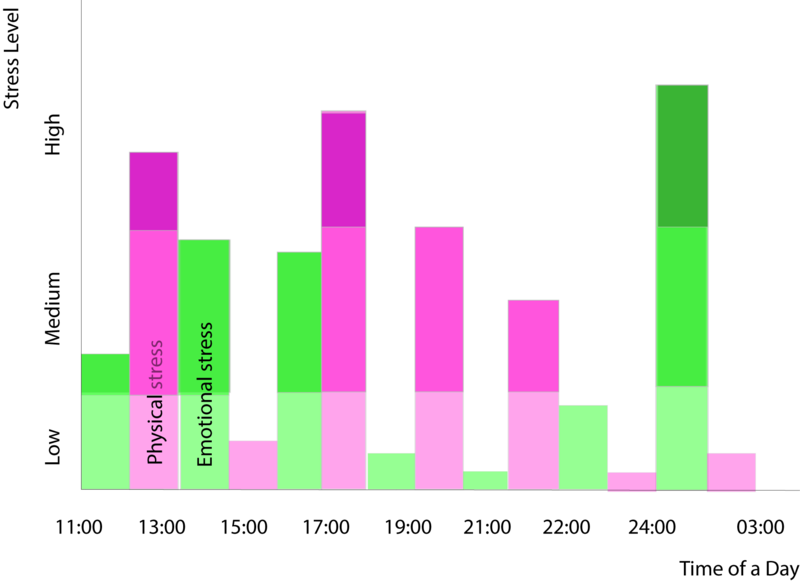 The self-report method is hard put to monitor human stress consistently due to the lack of standards for stress status. The body fluid analysis is invasive and cannot measure stress continuously.